Shares of Larsen & Toubro (L&T) were up 4 per cent to Rs 1,337 on BSE in the early morning trade in an otherwise weak market after the company reported 37 per cent YoY rise in consolidated net profit. 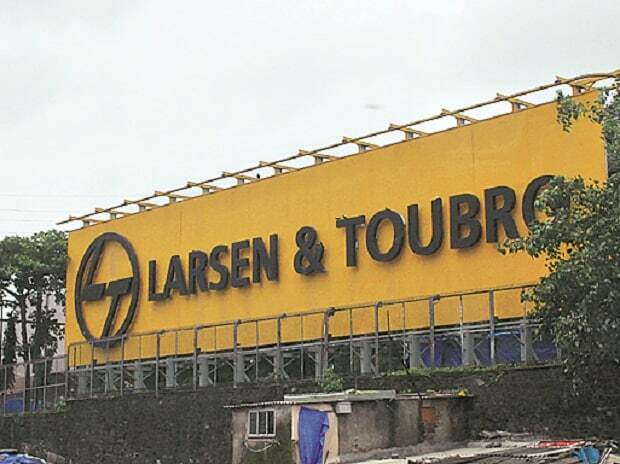 Shares of Larsen & Toubro (L&T) were up 4 per cent to Rs 1,337 apiece on BSE in the early morning trade in an otherwise weak market after the company reported 37 per cent year-on-year (YoY) rise in consolidated net profit at Rs 2,042 crore in December quarter (Q3FY19). The healthy performance during the quarter was on back of improved operating performance and a higher other income. At 09:56 am, L&T was trading 2.5 per cent higher at Rs 1,318 on BSE, as compared to 0.51 per cent decline in the S&P BSE Sensex. A combined 3.8 million equity shares changed hands on the counter on the NSE and BSE so far. L&T’s consolidated revenue for the quarter under review rose 24 per cent to Rs 35,708 crore from Rs 28,747 crore reported a year ago. L&T’s net profit was also helped by a higher other income of Rs 606 crore, owing to higher safe treasury investments. The company said riding on strong execution in project businesses coupled with noteworthy performance in service businesses, the company registered a strong revenue growth. Analysts on an average had expected profit of Rs 1,833 crore on revenue of Rs 32,836 crore for the quarter. Earnings before interest, taxation, depreciation and ammortisation or Ebitda for the quarter was more than Rs 4,000 crore, 27 per cent higher from Rs 3,100 crore reported a year back. The consolidated order book stood at Rs 284,049 crore as on December 31, 2018, up by 5 per cent over December, 2017 position, registering a reasonable growth over a large base. With general elections due in few months, the management expects order inflow to remain dull for some time. Securities and Exchanges Board for India (Sebi) last week rejected L&T proposal for its Rs 9,000 crore worth share buyback. The rejection was on grounds of a higher post buyback debt-equity ratio beyond the stipulated level at a consolidated basis. L&T’s submission to Sebi was based on its standalone financial numbers. L&T had underperformed Sensex by 11 per cent in January, 2019 till Friday, the expectation of order inflow guidance cut along with December quarter result is consensus and priced in, according to analysts at JP Morgan. "Less than 6 per cent FY19 inflow growth and fresh order cancellation in backlog is a downside risk to our FY20 core revenue growth estimate of around 11 per cent. Better than expected core P&L performance in December quarter may assuage worries around execution, for an order book dominated by public sector orders", the brokerage firm said in a report dated January 21, 2019. L&T has maintained its outlook for FY19, with order inflow guidance of 10-12 per cent, revenue growth of 12-15 per cent accompanied by a 25bps EBIDTA margin improvement. This comes on the back of strong 9-month order inflows of Rs 1.2 trillion, a growth of 16 per cent YoY. “L&T’s Q3 was led by strong execution, and the drop in infra margins due to cost overruns was negated by the lumpiness in the realty sector. It has held on to its FY19 inflow guidance citing lesser skew in H2/H1 FY19, though while holding on to the revenue guidance is a tad conservative. The company remains the best proxy for the Indian infrastructure story,” analysts at Dolat Capital said in a result update. The brokerage firm maintains 'Buy' rating on the stock with an unchanged target price of Rs 1,600.